One of my favorite etsy shops is Creepystuff, which specializes in, well, creepy stuff-- Handmade creepy stuff, that is. Creepystuff has great stuff for Halloween and Day of the Dead celebrations. I wrote about Creepystuff a couple of years ago HERE, but shop owner Nan keeps adding new things. 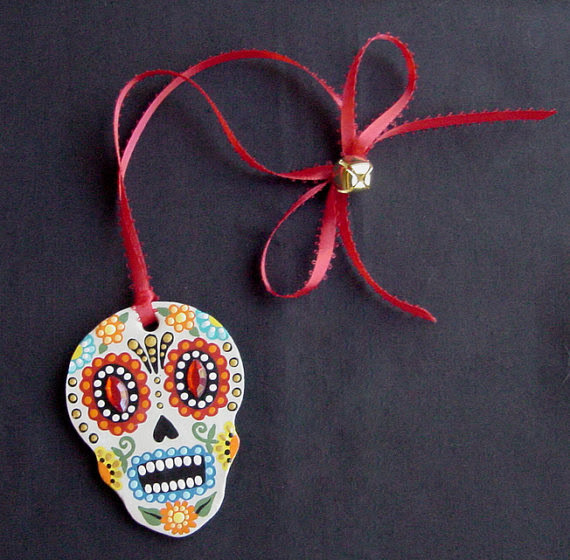 It might be a little late to order things for Halloween or Day of the Dead.. but not too late to add a few special items to your collection... for next year (on sale) or even sugar skull ornaments or voodoo wreaths for a unique Christmas. All of those monster faces are handmade. 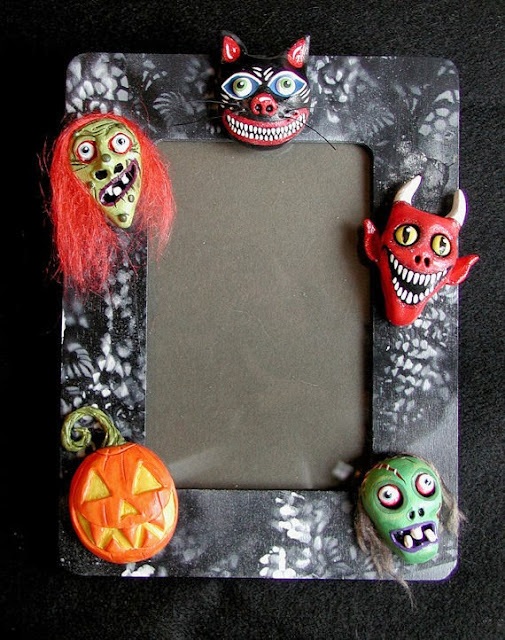 Keep photo memories of your creepiest Halloween celebrations all year round.. or just during the Halloween season. Features 9 detailed, handpainted sugar skulls & loads of flowers. Details HERE. 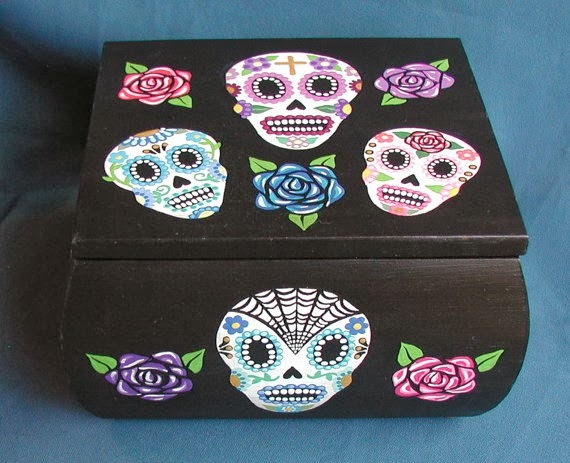 "One of a kind, original, handpainted Day of the Dead sugar skulls & flowers wooden box. Varnished. Measures 7" x 6 1/2" x 4 1/4" deep. Nice size for jewelry, trinkets, etc." Or to hold small oddities and curiosities? Werewolf leg, coffins, ghost, a witch & more! Details HERE. Sugar skulls are traditional, and Creepystuff has polymer sugar skulls --- in an assortment of colors ----ready for hanging now.. or on your Christmas tree! Here's a red one, but they are available in purple, blue, violet stripes as well. 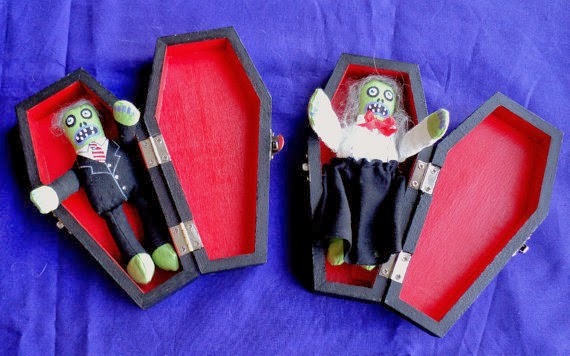 Nothing says eternal love like a zombie couple in their coffins! Details HERE.